Mr Tanner, a graduate of arts and law from the University of Melbourne, was speaking of the widespread disillusionment with democracy in Australia and other western countries at the first Melbourne Law School Alumni Seminar for 2016 earlier this week. 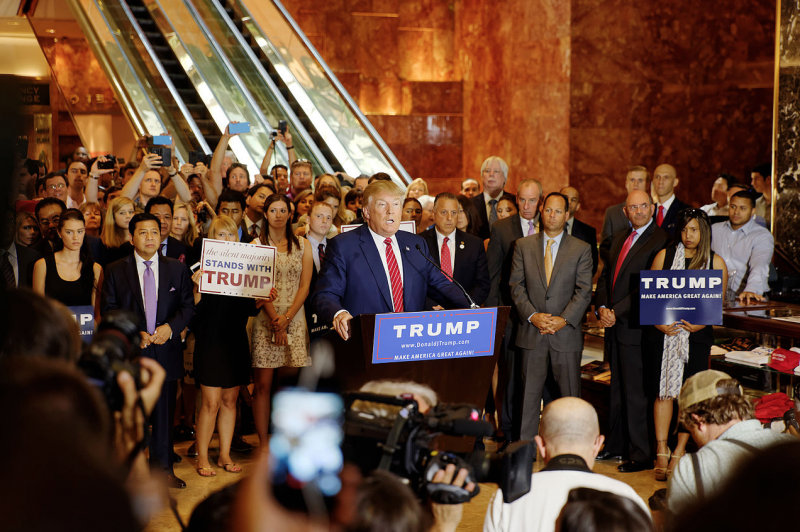 Trump has managed to attract a major following because of the profound structural change occurring in western economies, driven by globalisation and technology. “Western society is undergoing a profound restructuring. The structural shift we are living through is as significant as the industrial revolution. What concerns voters supportive of politicians like Trump, he says, is the health of the economy and their place in it. “The guy who was quoted as saying people in America are voting with their middle finger was right. Trump is targeting people whose incomes have stagnated due to globalisation and technological changes and whose points of view have been shafted in the political debate. “When you end up with a political system that excludes significant groups in society and gives them no real voice, that is when you have a problem. It has been a wake up call to mainstream political parties,” he said. Looking closer to home, Mr Tanner said Australian democracy is in pretty good shape, even if the world of politics when he first got involved in the 1980s was a “simpler landscape”. Political debate in the current climate requires politicians to talk in bumper stickers. This, he said, presents Prime Minister Malcolm Turnbull with an interesting challenge: he will need to surf the wave of public opinion while politicians focus on short-term image manipulation, opinion polling and announcements at the expense of sound policy making.